For a highly flexible, cost effective solution for adding work space on a construction site, mobile office trailers in Santa Clara County get the job done. An on-site, multi-purpose portable office trailer rental in Santa Clara County can serve as your temporary headquarters, concession stand, guard house and so much more. Looking to buy? Aptera’s partners have dozens of new and used office trailers for sale in San Jose, Sunnyvale and Santa Clara including like-new condition to refurbished older models to help reduce your cost. Choose from ground level construction trailers or raised (with wheels) portable office trailers for easier transport between job sites. Aptera can also help you with any necessary add-ons including steps, ramps, tie downs, 60 - 150 amp subpanels for electricity, a/c and more. If you don’t see the used office trailer for sale in Santa Clara County that fits your needs and budget, just enter your info and Aptera’s nearby partners can check their inventory and deliver exactly what you need. You might think that refurbishing and upgrading an old office trailer in San Jose will cost less, but in actually delivery fees are typically only a fraction of the cost of upgrades. Define your space needs - How many employees will need desks? Do you need an office/storage combo trailer? Do you need a conference table? These questions will help you choose between office trailer sizes that start at 20 ft (ground level container offices) up to construction trailers over 60 ft. and extra wide units. As your needs expand, you will enjoy comfort in knowing that a solution is just a phone call away when you need an another unit. Compare pricing - Comparing prices for office trailers in San Jose is not as straightforward as you would think. Make sure that pickup/delivery fees are included. Does the cost include desks and furniture? Or taxes? Always look at the cost per square foot and how many amenities it includes even if you don’t think that you will need them. Prep for delivery - We recommend having the unit delivered at least one day prior to when you will start using it. This provides a cushion in case there is not enough space for the delivery truck, there are problems with electricity or it just takes more time than anticipated. Remember, it can take up to 3 hours to deliver, position, level and anchor a construction trailer upon delivery. Also make sure there is enough space for workers and equipment to pass by without interference and (most importantly) damaging the mobile office. A flat surface is ideal, but placement on graded surfaces is possible. Note: if you do not have a flat area large enough to place the trailer let the driver know at least one day in advance in case any additional supplies are needed during delivery. How big are the construction trailers? Smaller construction trailers are 20 ft x 8 ft and 40 ft x 8 ft. Larger sizes range up to 64 ft x 12 ft. However, the most important thing to remember is that they can be stacked on top of each other or set side by side to accommodate any size requirements. Tip: We recommend getting a construction trailer with 20% more room than you initially need. Most clients end up using more room than they expect for storage. Other than the cost of the unit, you will only be charged pick up and delivery fee which typically start at $100 each way but will depend on your exact location. If you want take a construction trailer from one job site to another but don’t have the equipment to do so, this will usually cost the same as the delivery fee. How secure are the units? All units come with standard locks on doors (and windows if applicable). Container office trailers in San Jose will typically include bars on windows and all steel construction to further prevent break ins. Optional security features include GPS and complete alarm systems that work in sync with systems you may already have on your construction site. Yes, when renting a construction trailer in Santa Clara County you will always need insurance and you have the option of buying additional damage waiver protection in case minor damage occurs. If you plan on purchasing, we recommend that you get additional coverage in addition to your general program. Will I need a permit? If you are placing the mobile office on a construction site, you will generally not need any additional permitting. Exceptions include construction in residential areas and office trailers to be used on a permanent semi-permanent basis. Do you provide portable classroom trailers in Santa Clara County for schools? Yes, Aptera partners offer portable classrooms in Santa Clara County for both purchase and rent. Sizes range from 36 ft to 70 ft length and 14 ft to 28 ft width and all include carpeting, air conditioning and lighting. San Jose used 20 ft. office trailers for sale costs $5,424, used 40 ft. office trailers for sale costs $7,397. Sunnyvale used 20 ft. office trailers for sale costs $5,421, used 40 ft. office trailers for sale costs $7,393. Santa Clara used 20 ft. office trailers for sale costs $5,468, used 40 ft. office trailers for sale costs $7,457. Mountain View used 20 ft. office trailers for sale costs $5,162, used 40 ft. office trailers for sale costs $7,039. Milpitas used 20 ft. office trailers for sale costs $5,941, used 40 ft. office trailers for sale costs $8,102. Palo Alto used 20 ft. office trailers for sale costs $5,150, used 40 ft. office trailers for sale costs $7,022. Cupertino used 20 ft. office trailers for sale costs $5,749, used 40 ft. office trailers for sale costs $7,840. Gilroy used 20 ft. office trailers for sale costs $4,829, used 40 ft. office trailers for sale costs $6,585. 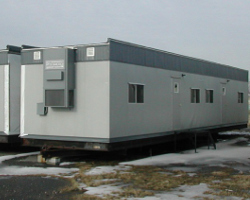 Campbell used 20 ft. office trailers for sale costs $4,929, used 40 ft. office trailers for sale costs $6,721. Morgan Hill used 20 ft. office trailers for sale costs $5,821, used 40 ft. office trailers for sale costs $7,937.